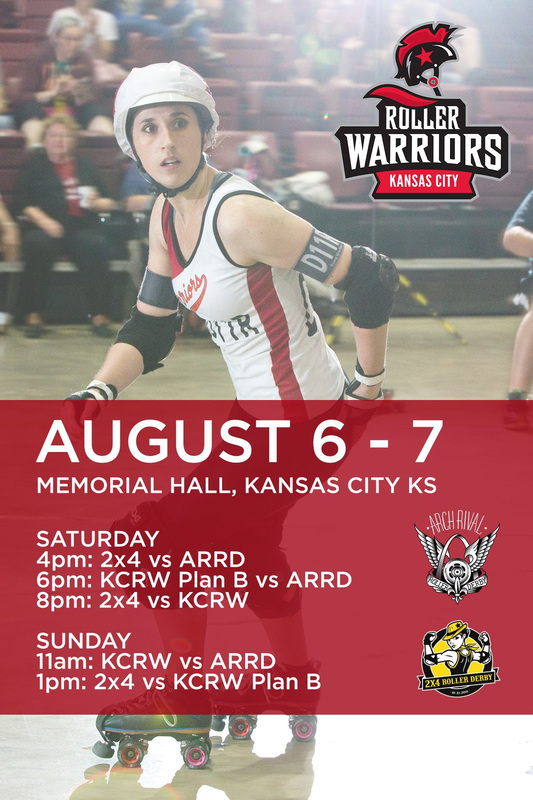 This weekend, roller derby fans, the Kansas City Roller Warriors are hosting one of the most unique events we’ve ever seen right here in our hometown, and you can be a part of it. 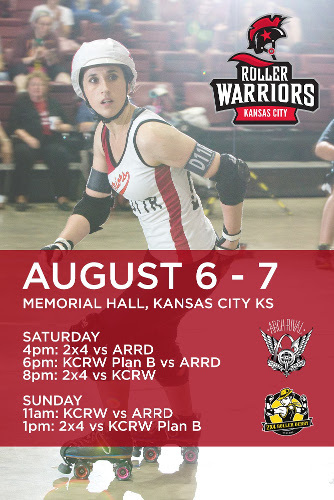 2×4 Roller Derby out of Buenos Aires, Argentina and the St. Louis Arch Rivals will be at Memorial Hall this Saturday and Sunday for a two-day event hosted by the KCRW All-Stars. The five bouts will feature all-star teams from all leagues, plus B and C squads from Kansas City and St. Louis. Tickets are limited to 249 spectators each day, and you can get single-day tickets or weekend passes on their Brown Paper Tickets page. You will be able to get tickets at the door, provided sales have not reached that strictly-enforced threshold of 249. The fun begins Saturday afternoon at 4:00 p.m. and Sunday morning at 11:00. See the graphic above for game times, and click through to Brown Paper tickets for specific ticket prices. Join us as we welcome our derby sisters from Argentina and St. Louis for the South America Meets the I-70 Showdown event this weekend at Memorial Hall! We can’t wait to meet these amazing international skaters and give them a hearty Kansas City welcome… right before the Wolfpack takes the skates out from under them!